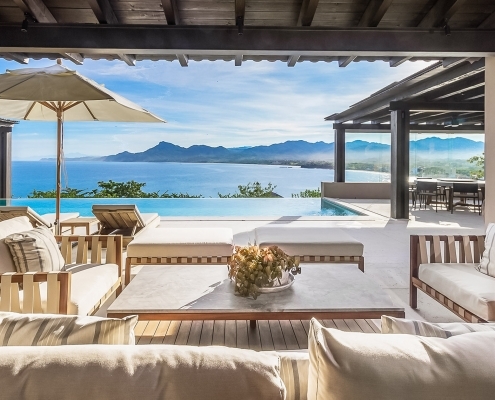 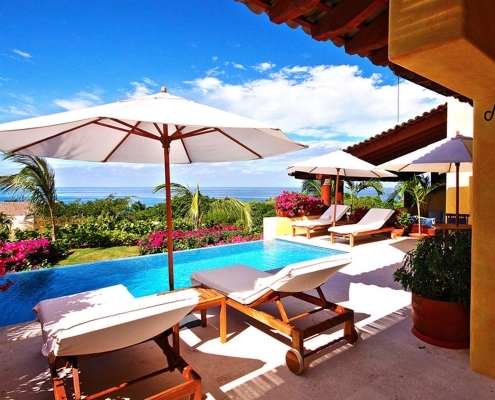 This property has an outstanding ocean view including the Sierra Madre and Marieta's Island on the horizon. 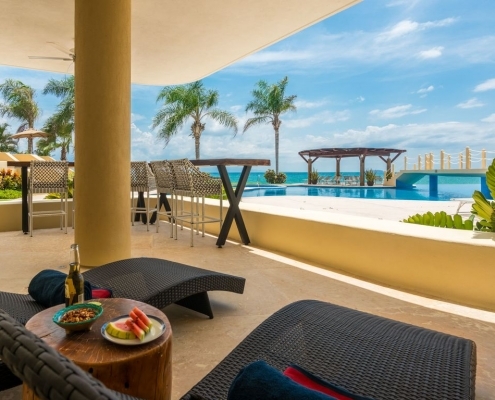 Sunrises and sunsets everyday of your stay will allow you to enjoy the large terrace or common areas with an open space that allow the sea breeze to flow. 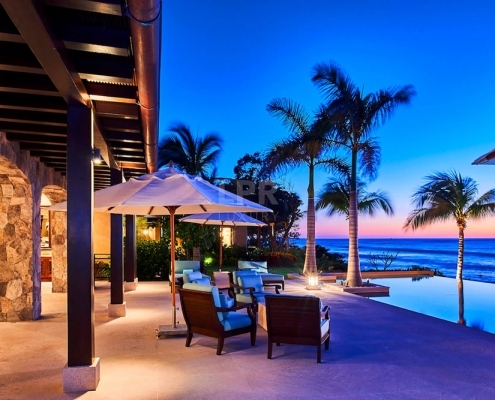 Spectacular Ocean View Condo with amazing views of the ocean and golf course . 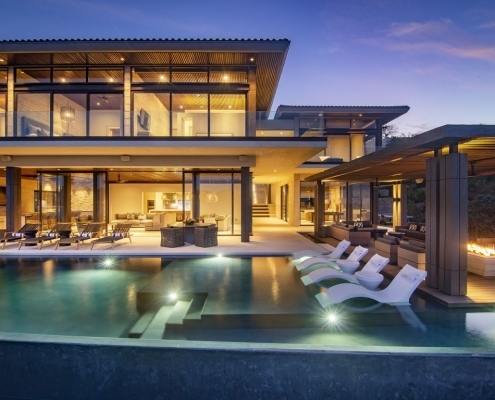 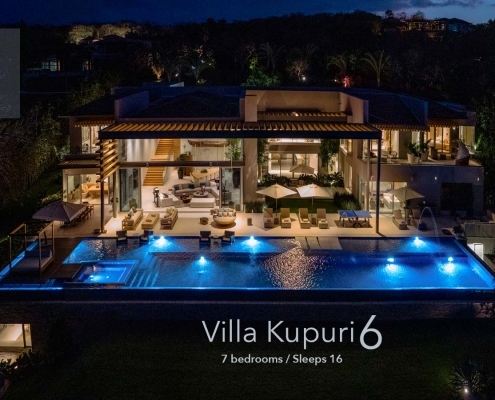 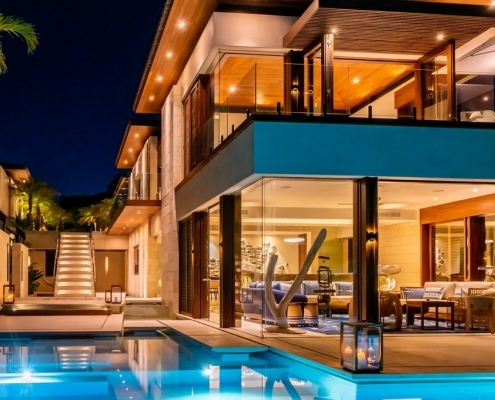 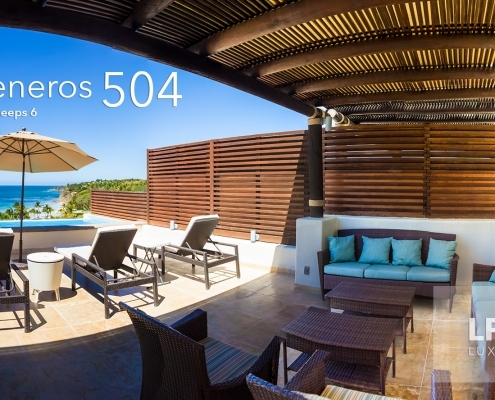 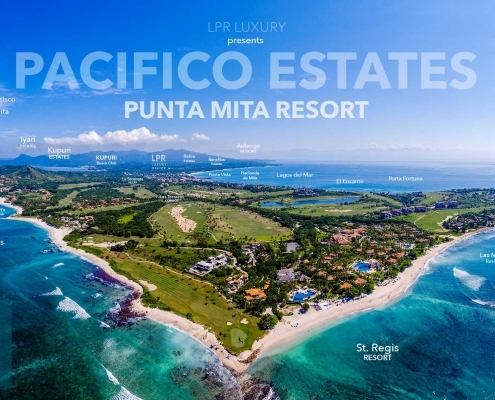 It is located inside the gated community of Punta Mita where the Four Seasons and St Regis properties are located. 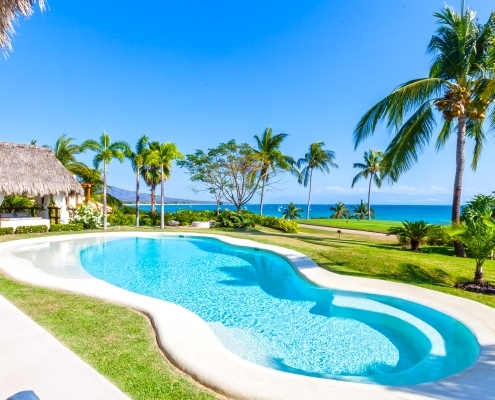 Hacienda de Mita's location is idea! 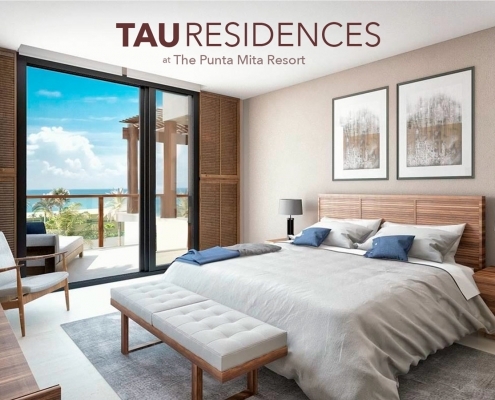 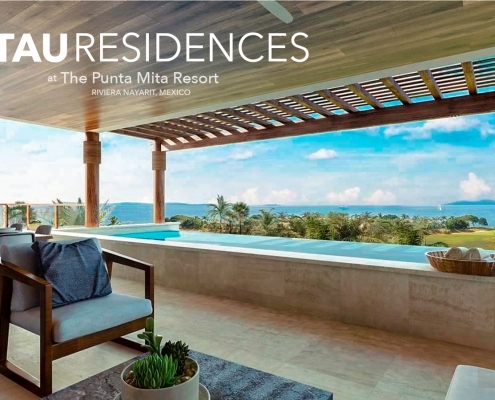 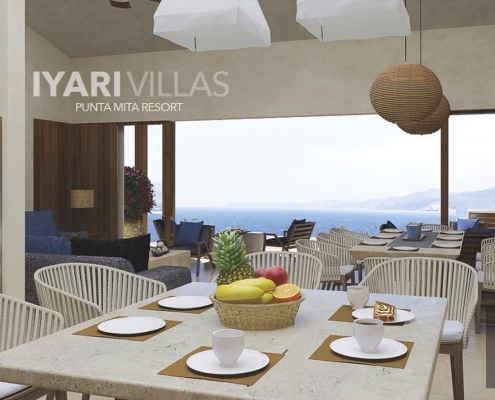 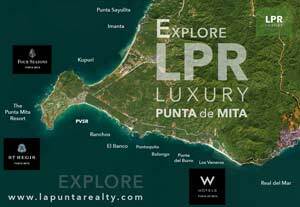 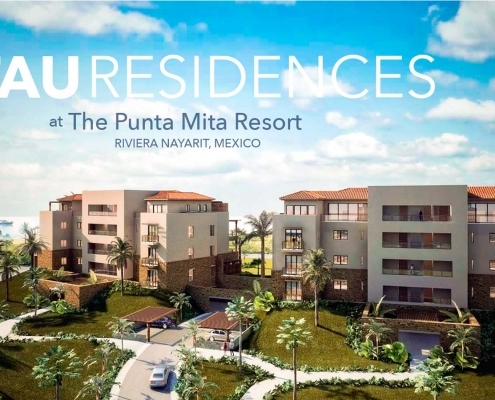 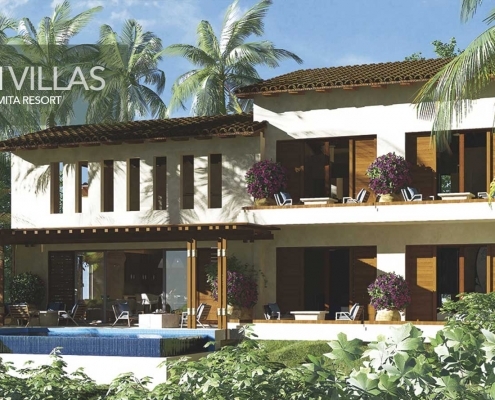 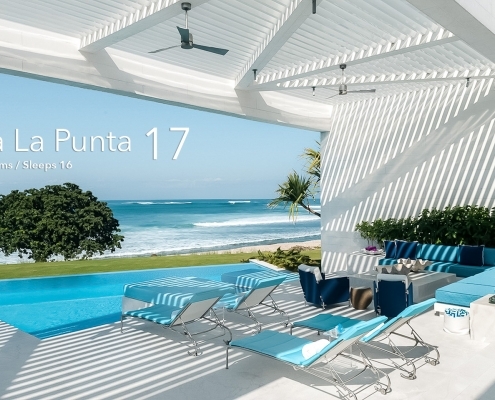 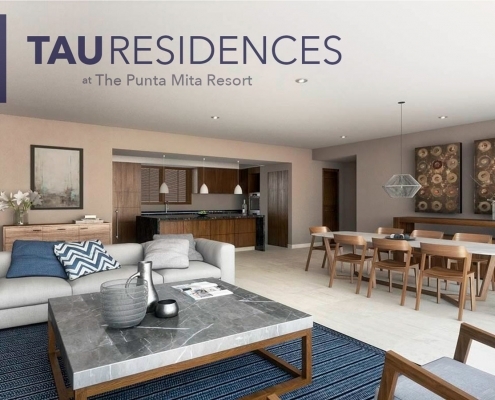 It is the only beachfront condominium development in the Punta Mita resort. 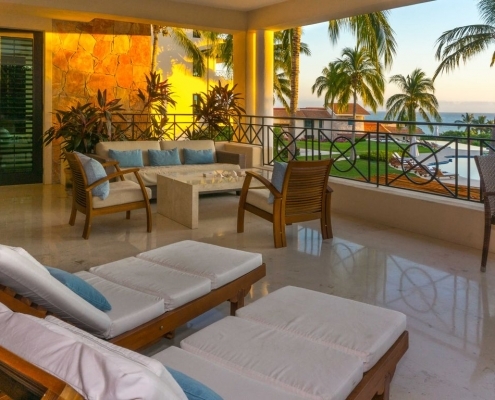 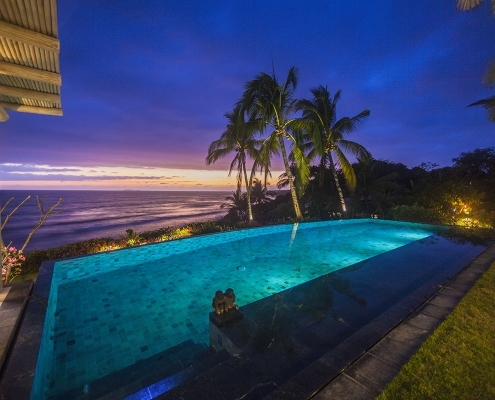 Luxurious beachfront 2 storey penthouse with private pool and unobstructed ocean views. 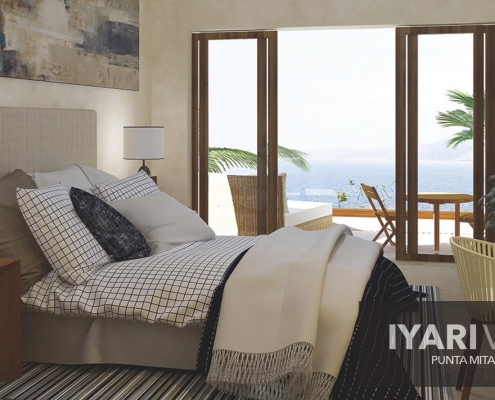 Exquisite modern furnishings offering comfort in style. 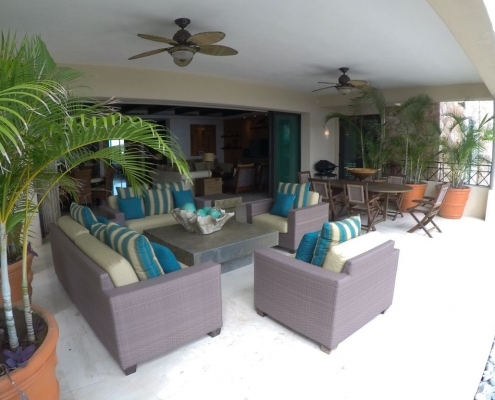 Available year round for rent, suitable for families, romantic getaways and small groups of 8 or less.